No surprise. I’m obsessed with Spring 2019’s love of bold colors. What’s better than brights? Brights with brights, of course. I’ve been slowly acquiring fabulous bright separates because I want to do all kinds of color mixing this year. Today’s post gives you a glimpse inside my head. 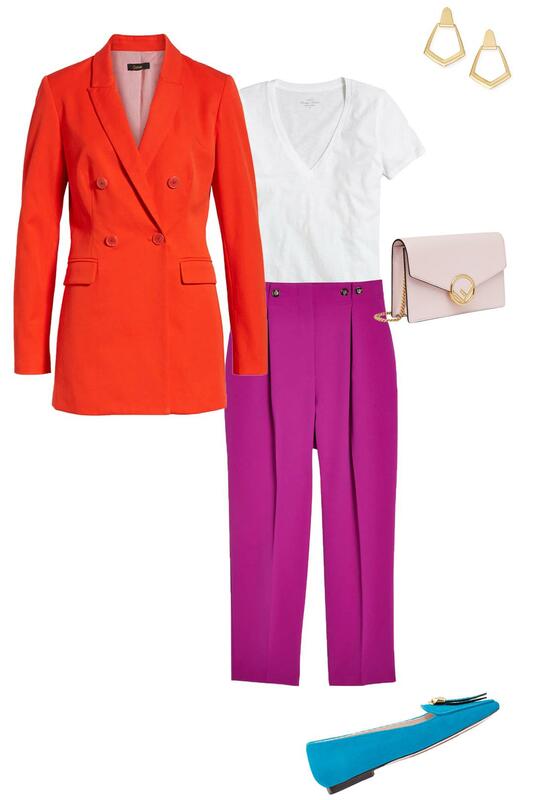 I’ve been dreaming about colorblocking brights. I’ve ordered the blazer, so I’ll keep you posted on the fit and actual color. And, you may remember the Slipknot flats (designer deal) from my fancy flats post. When I was a child I though coral/red and purple clashed. Now that I’m an adult I see all the possibilities.